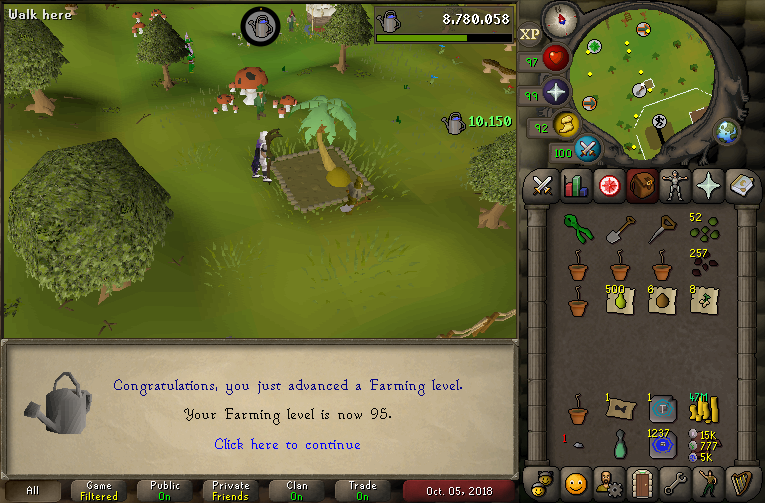 Only 4 stats left for Base 80. 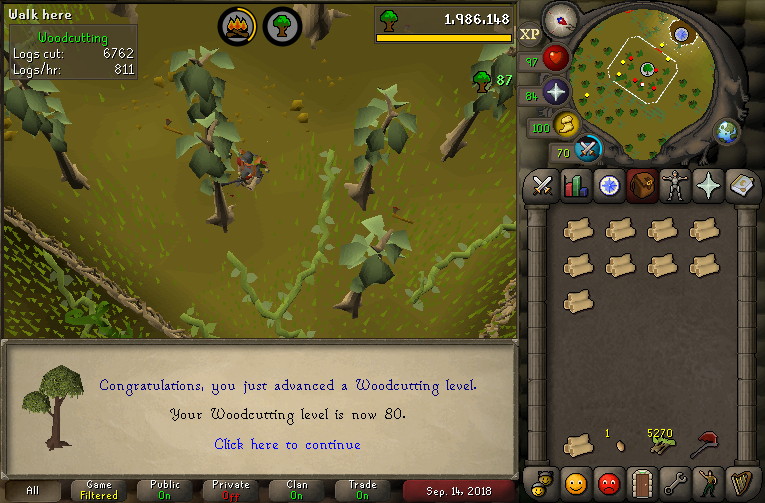 Runecrafting, Thieving, Hunter and Woodcutting! 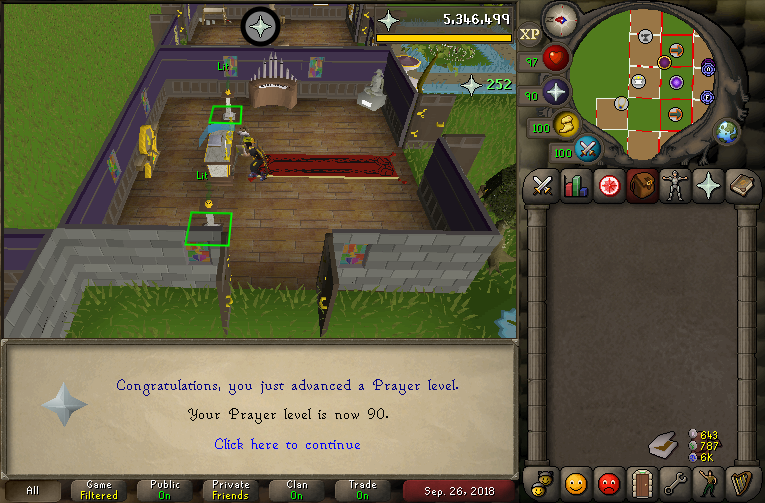 Knocked another off the list toward Base 80 stats! 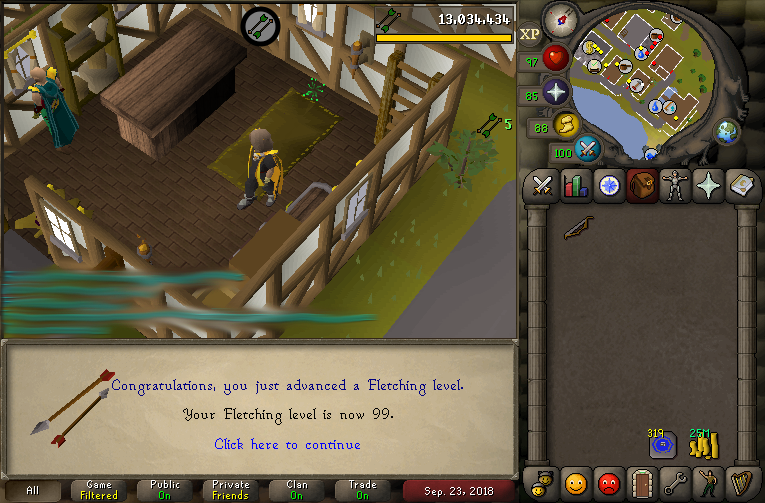 Only 3 to go! 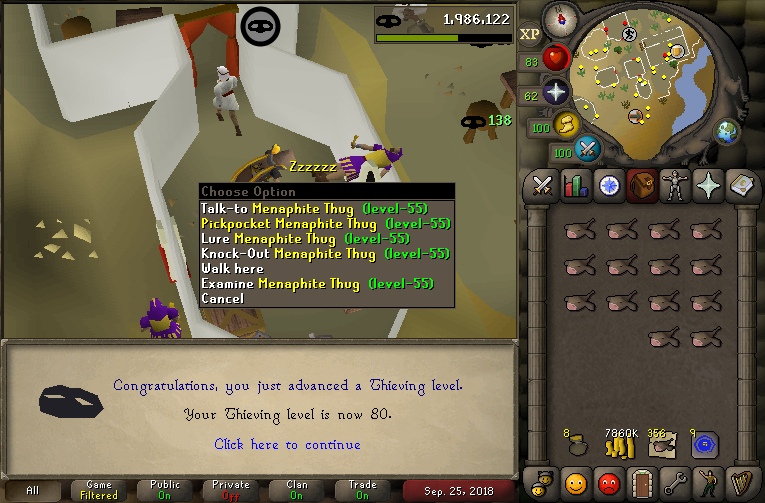 Runecrafting, Thieving and Hunter! Thanks! Got some big updates this post! 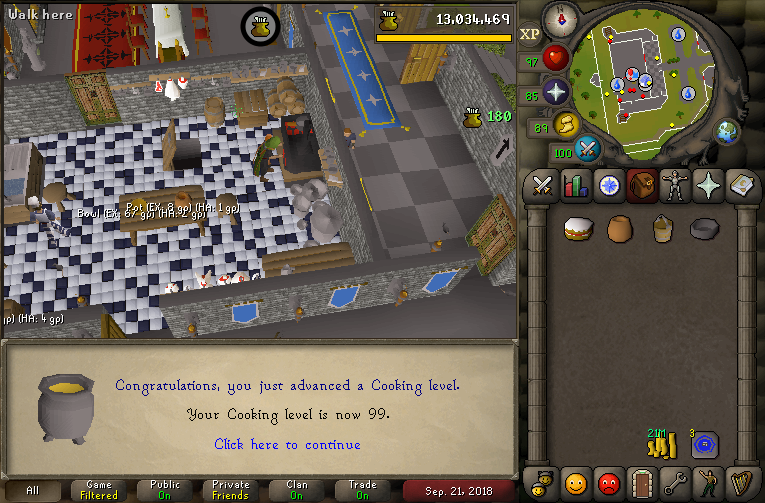 My goal in going for 99 Crafting was to set a front page day record on Crystal Math Labs and I managed to achieve that as well! 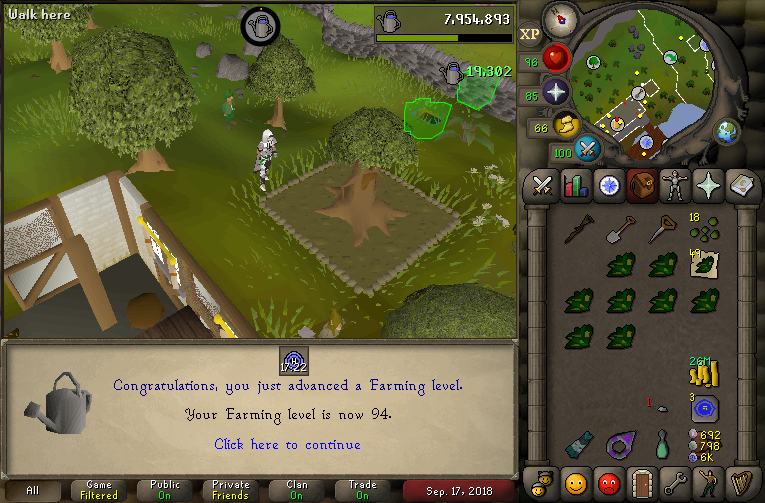 Over 8m xp in a single day! 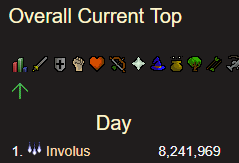 I was also top Overall XP on CML the day I did the 8m grind! 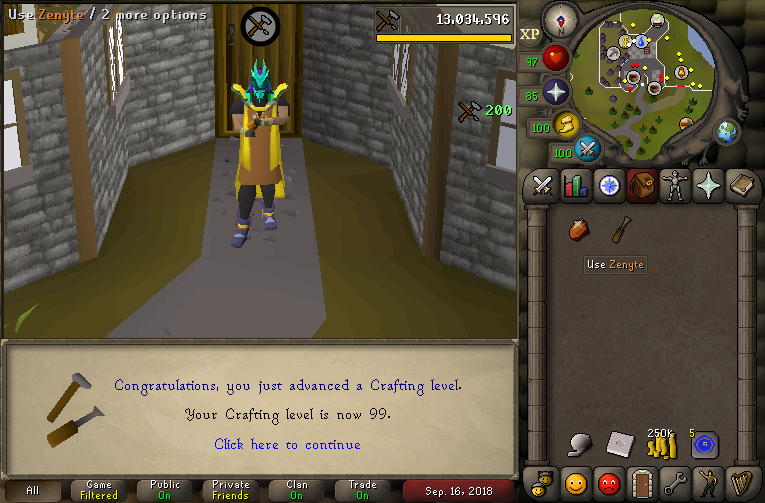 JEEEZ That's a lot of crafting xp in one day. Grats! Thanks guys! Have a couple of updates to share! 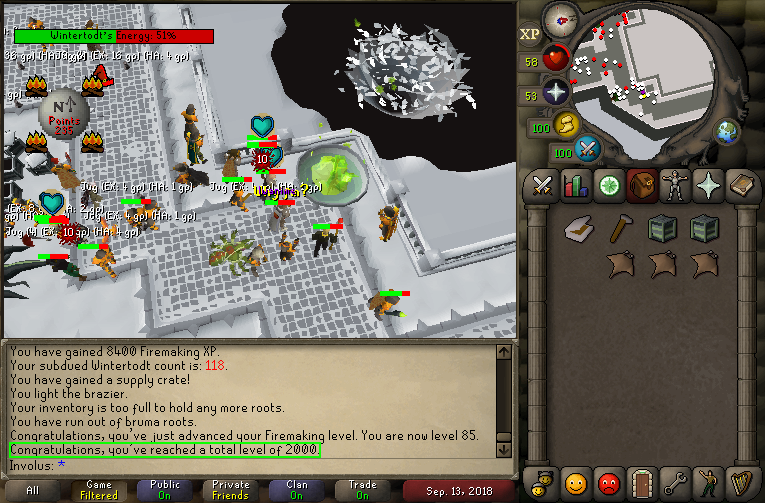 Also broke 150m total xp! 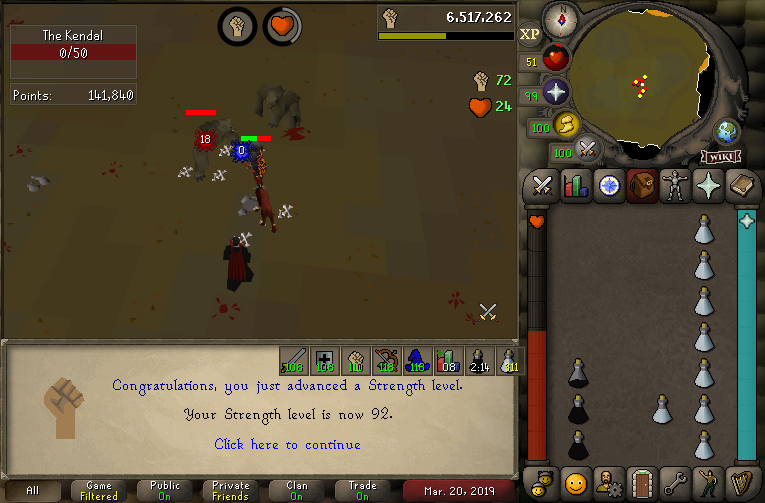 Knocked out another stat for Base 80. 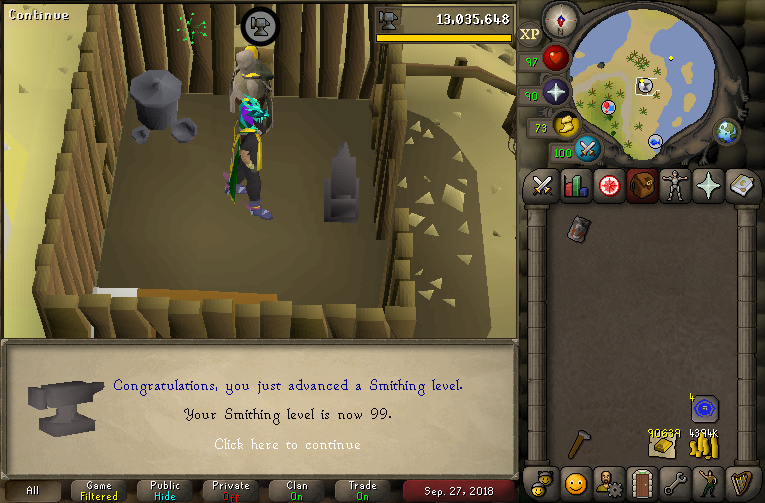 Only Hunter and Runecrafting to go! Thanks Bing! 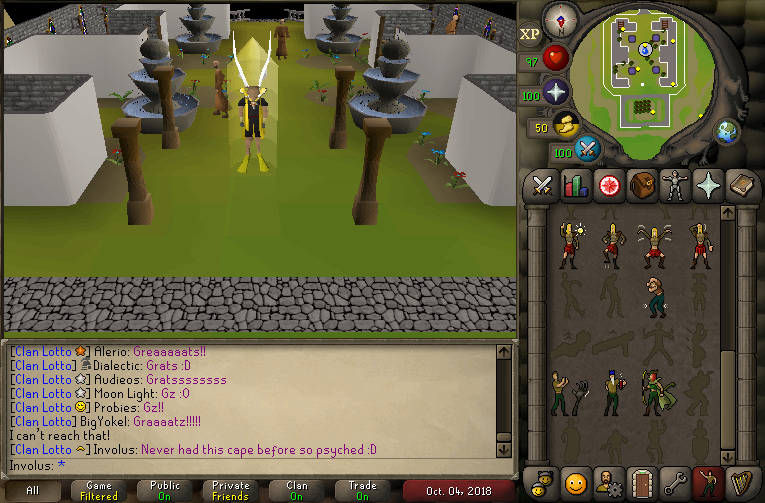 Got another cape! 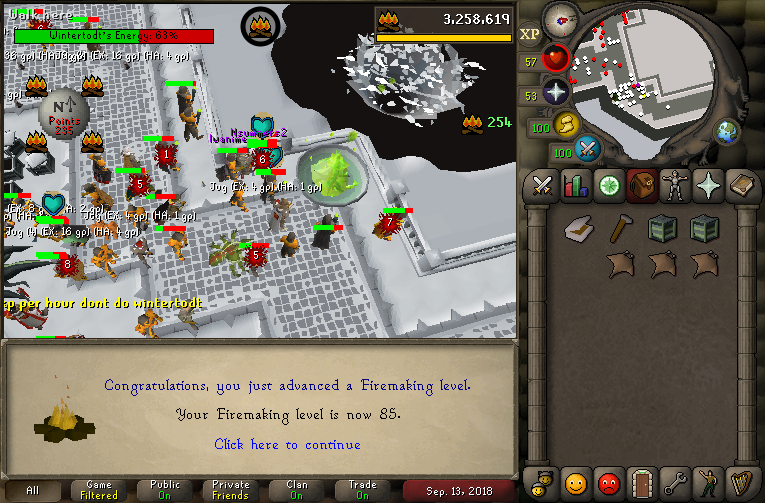 Also passed 2050 Total Level! Thank you guys! 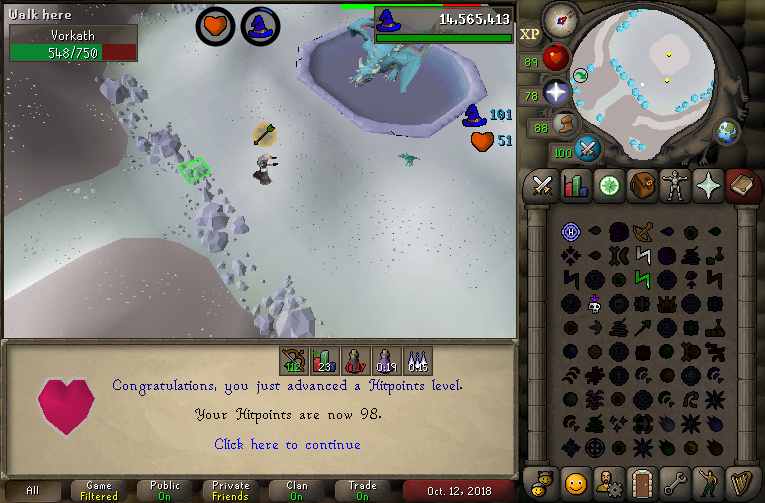 Another 99 knocked out! 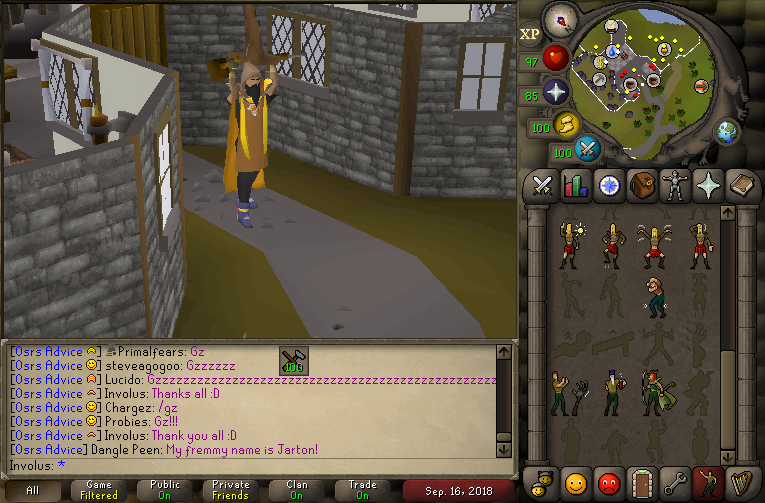 I also achieved my goal of getting 50m+ xp in a month! 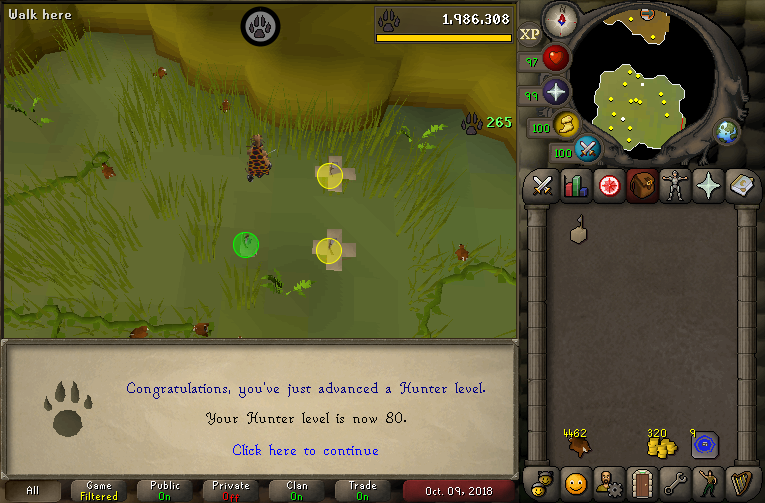 Working on 80 Hunter & RC now for Base 80! 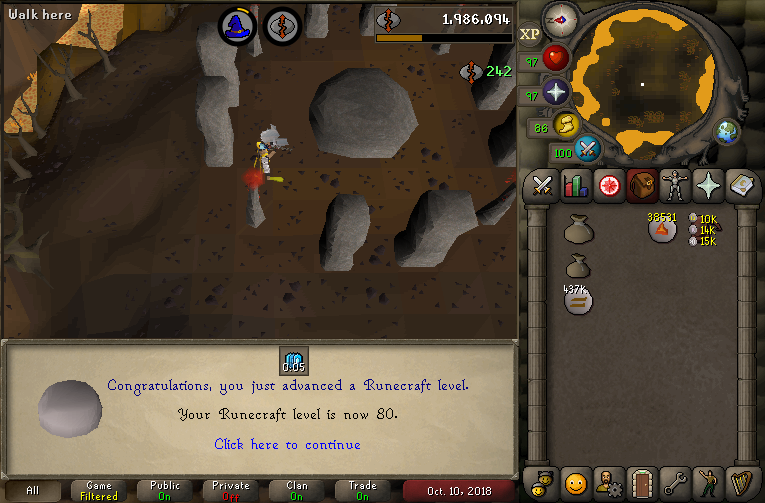 A couple updates, Base 80 has been achieved! 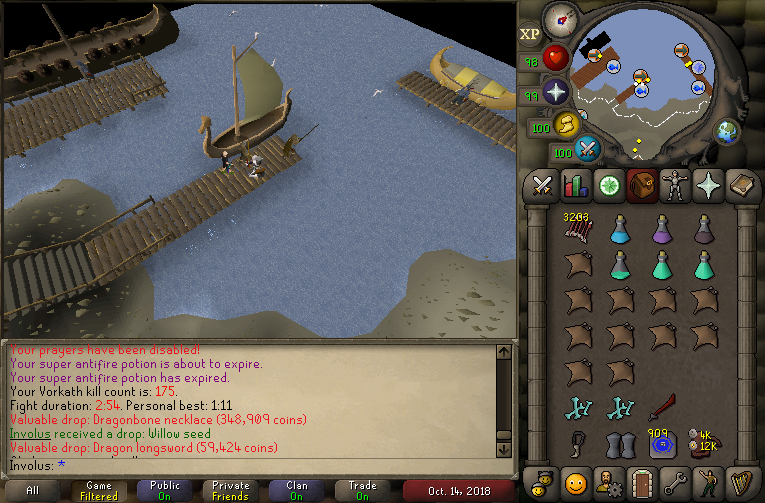 Been doing some Vork lately to kinda rebuild the bank a bit! 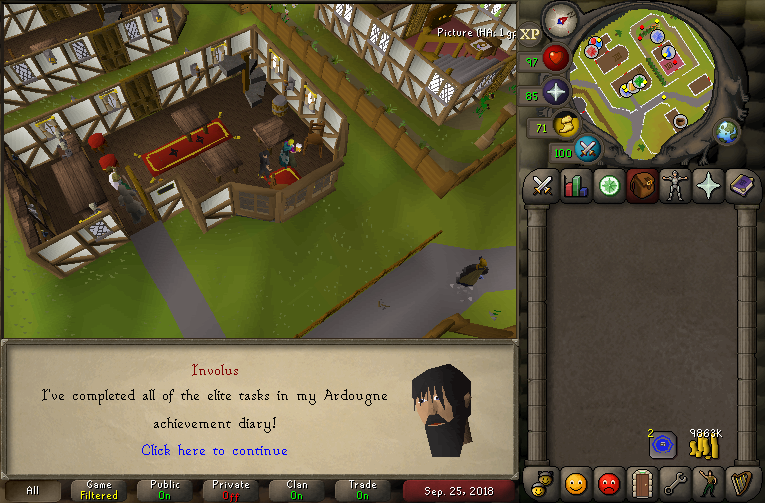 Received my first unique! 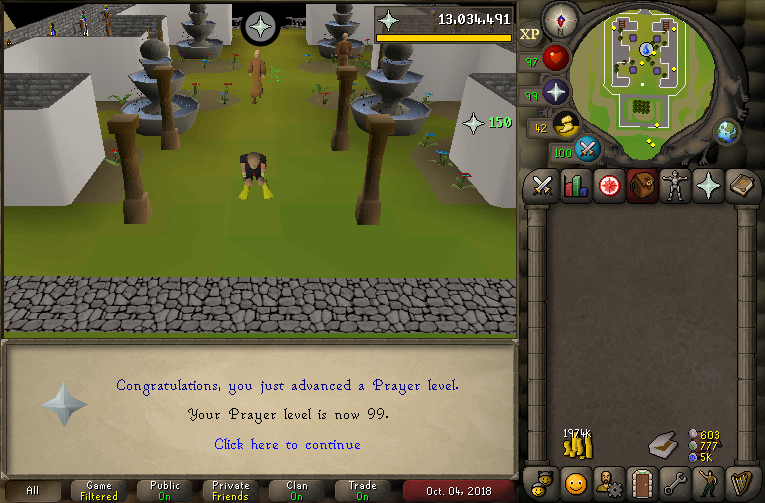 Been afking in NMZ while I'm at work, getting xp I normally wouldn't be sounds like a good deal to me! 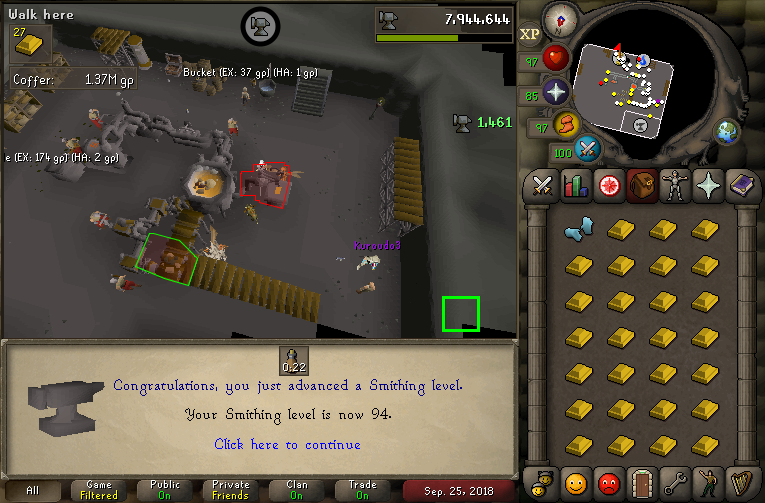 Gonna prob continue to do this til 99 str and see where I go from there, been playing on my iron a fair bit and mining on this account when I'm actively playing. 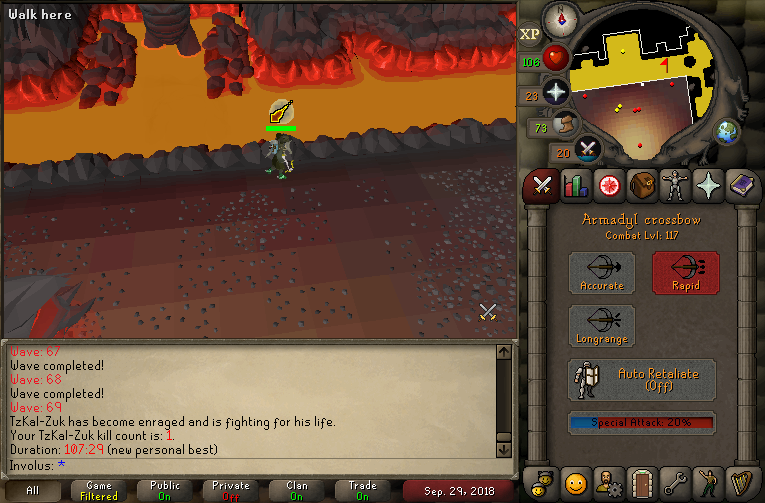 Grats on the afk gains man - good luck with 99.